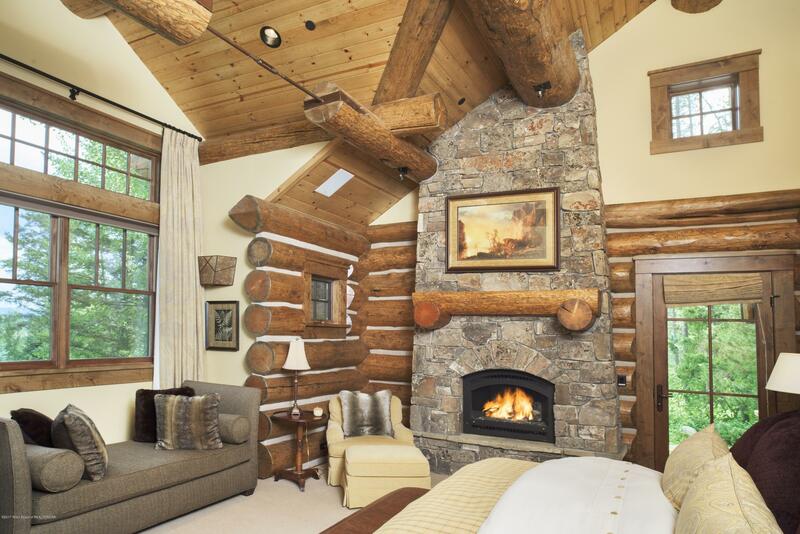 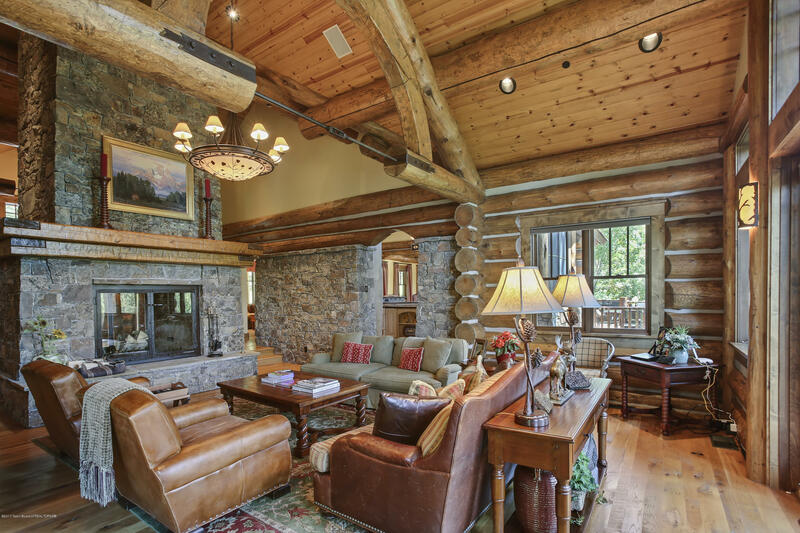 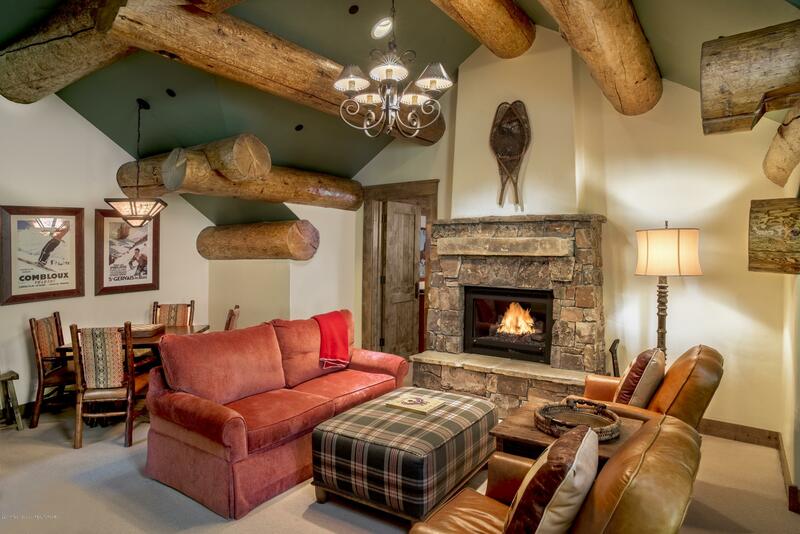 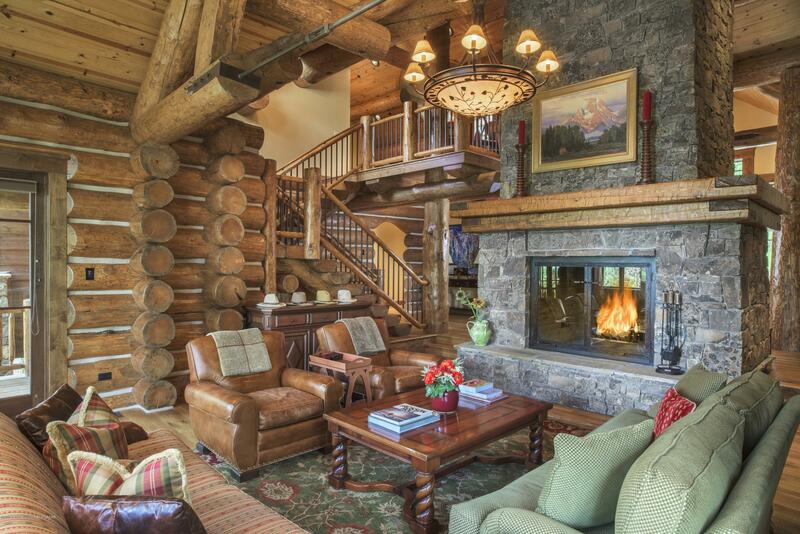 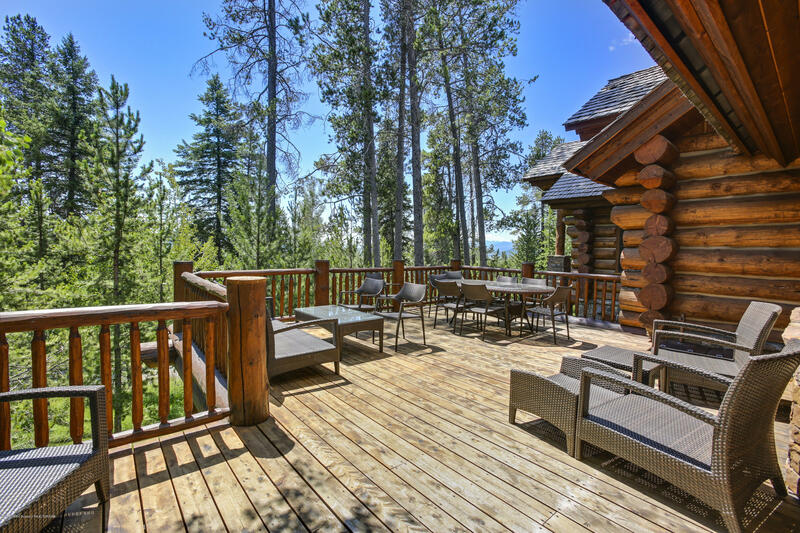 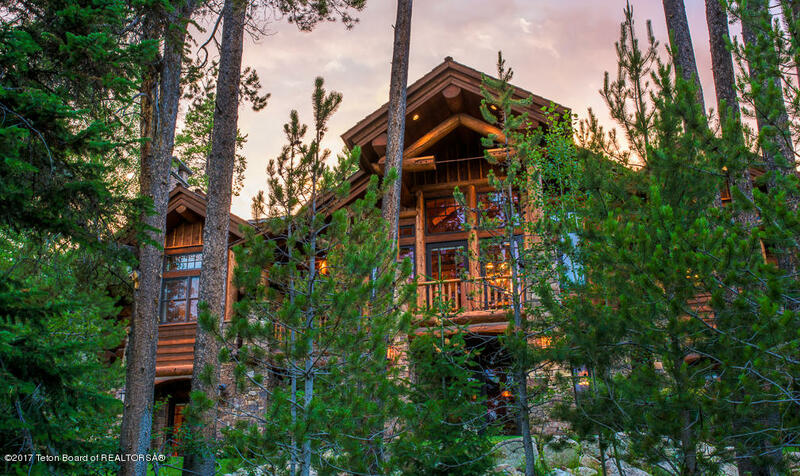 After a long day of skiing world-class powder or hiking beautiful trails at the Jackson Hole Mountain Resort, imagine yourself retreating in proper luxury to this more than 7,500 square foot, 5 bedroom, 5.5 bathroom custom, log home. 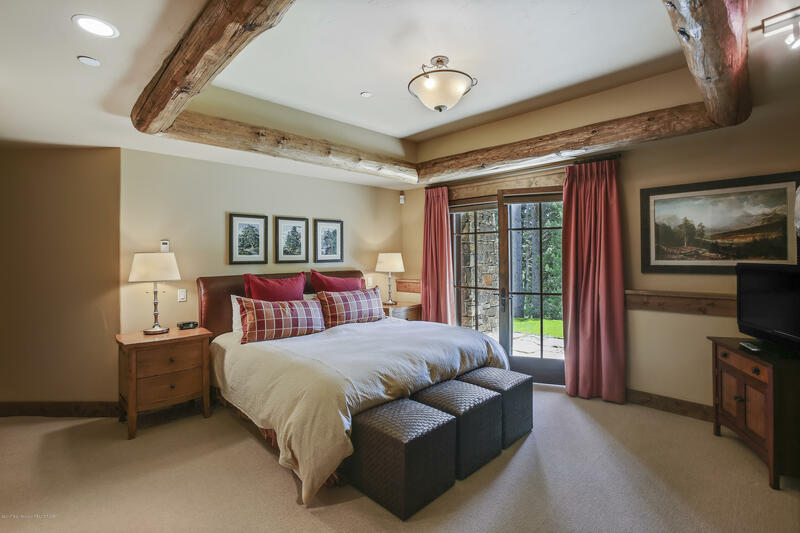 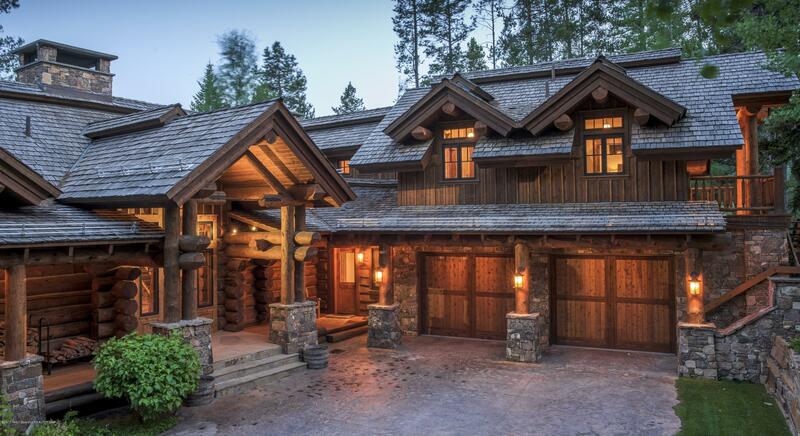 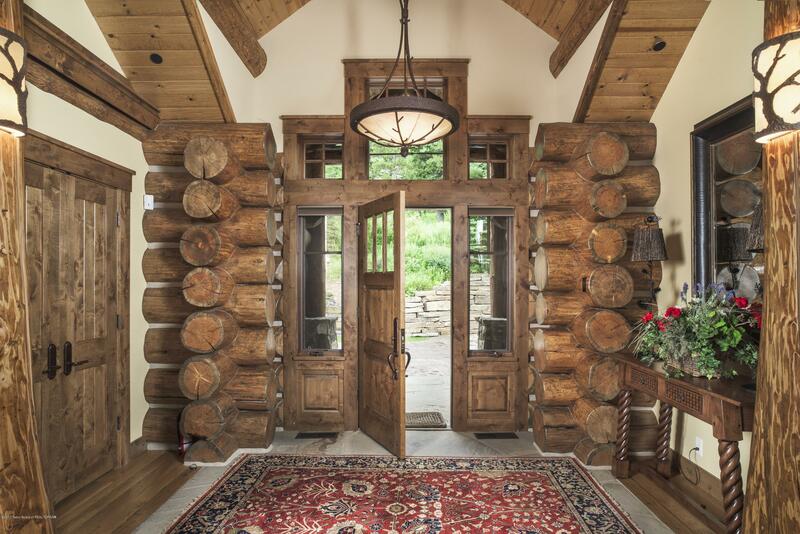 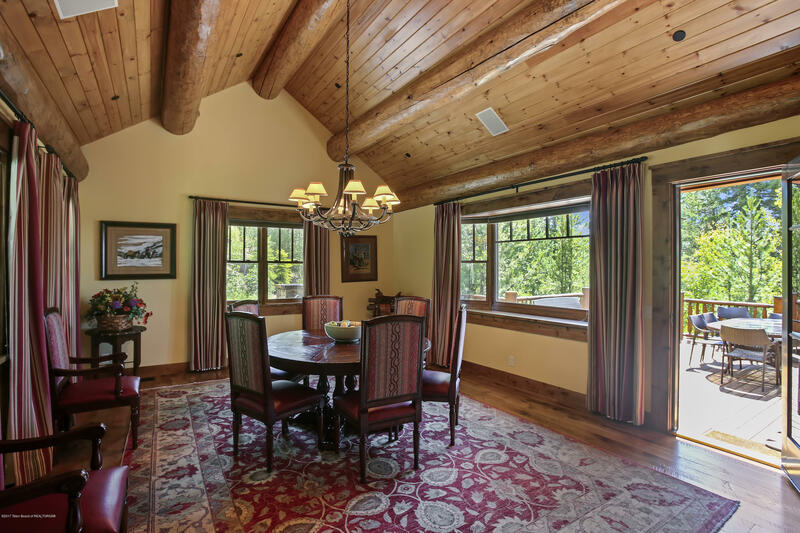 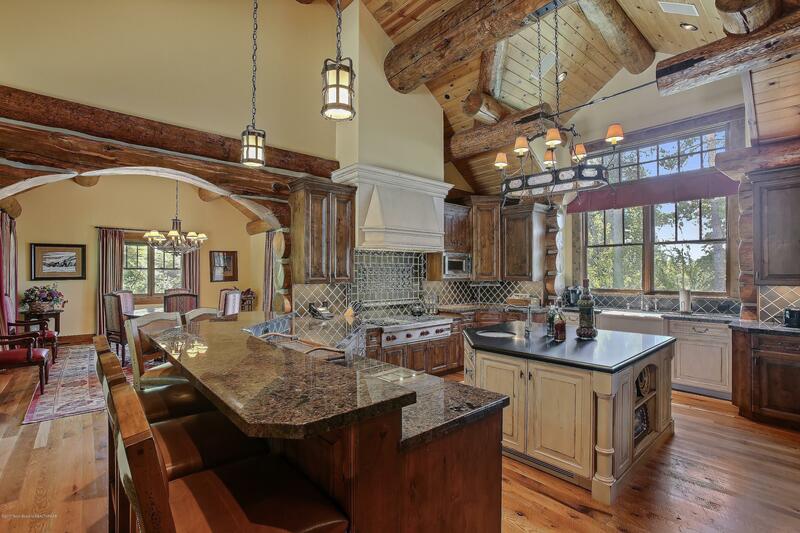 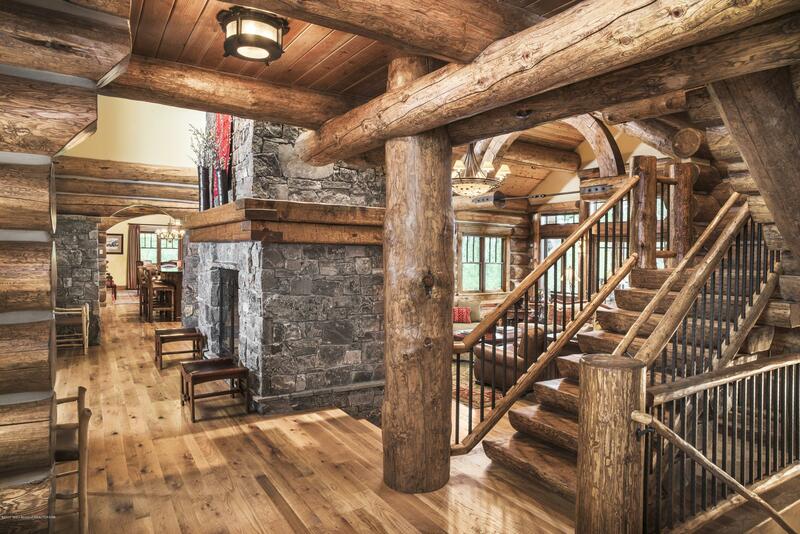 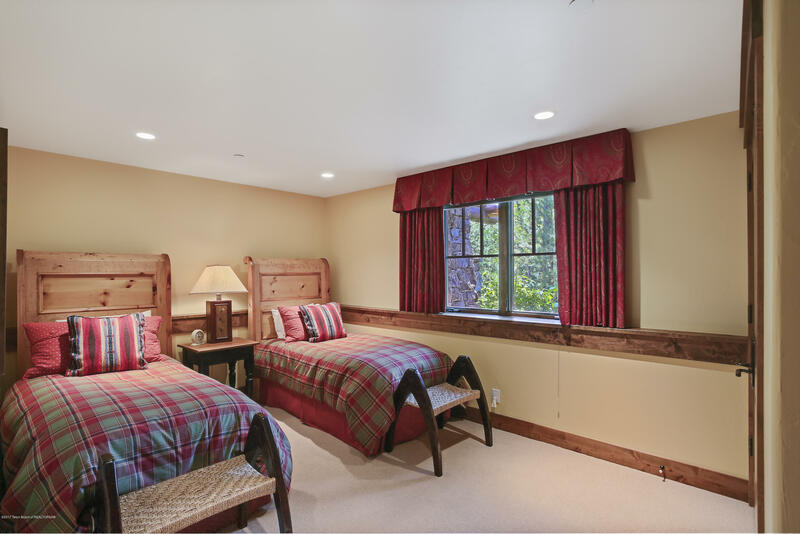 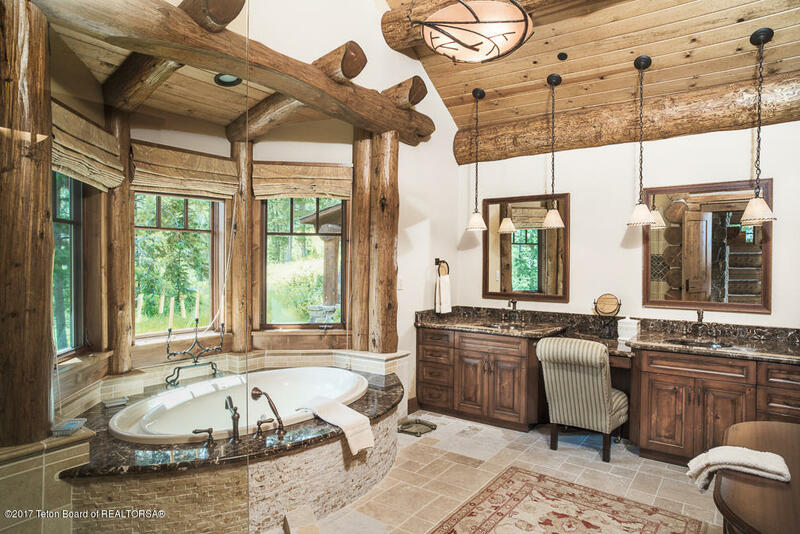 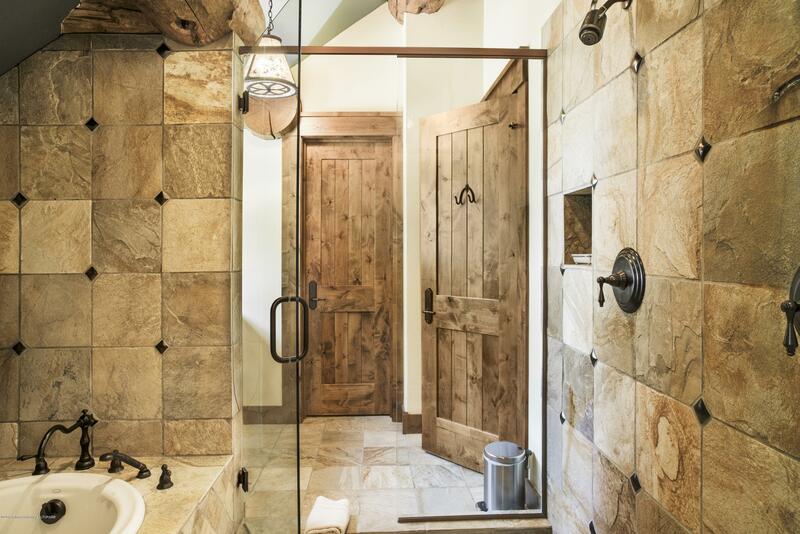 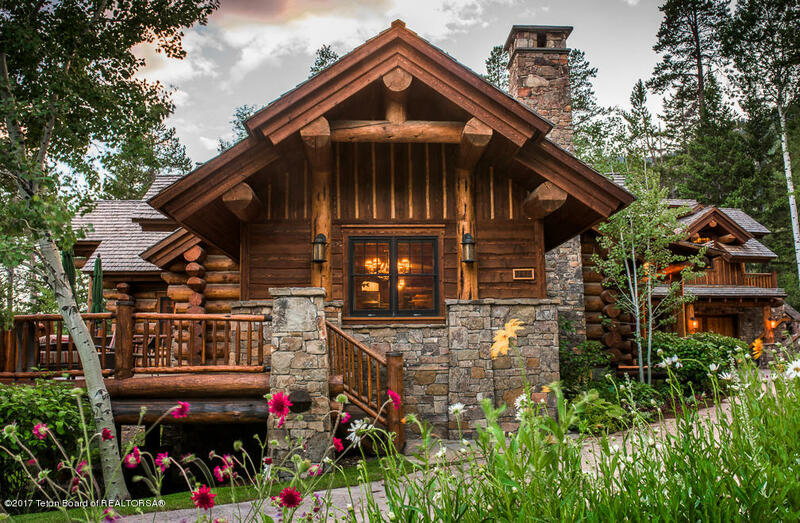 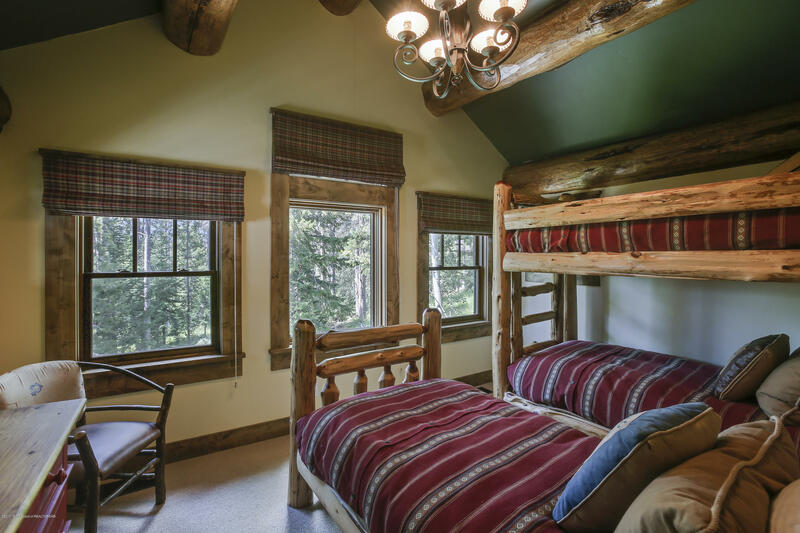 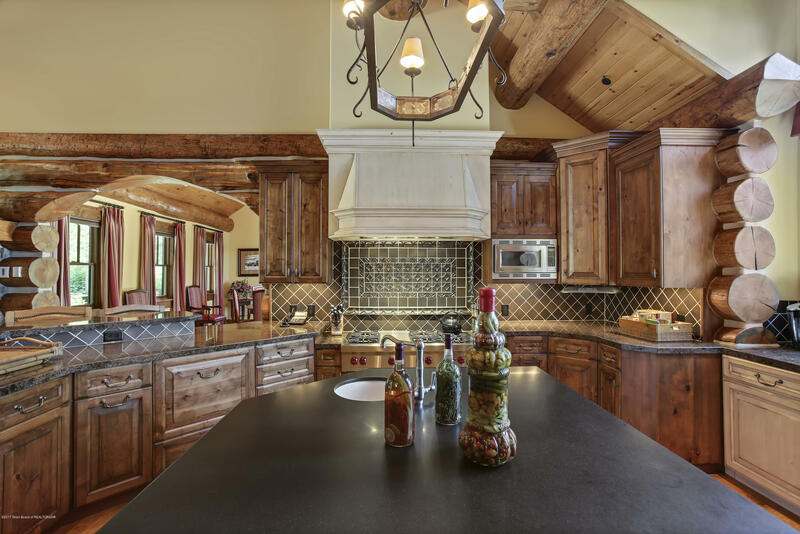 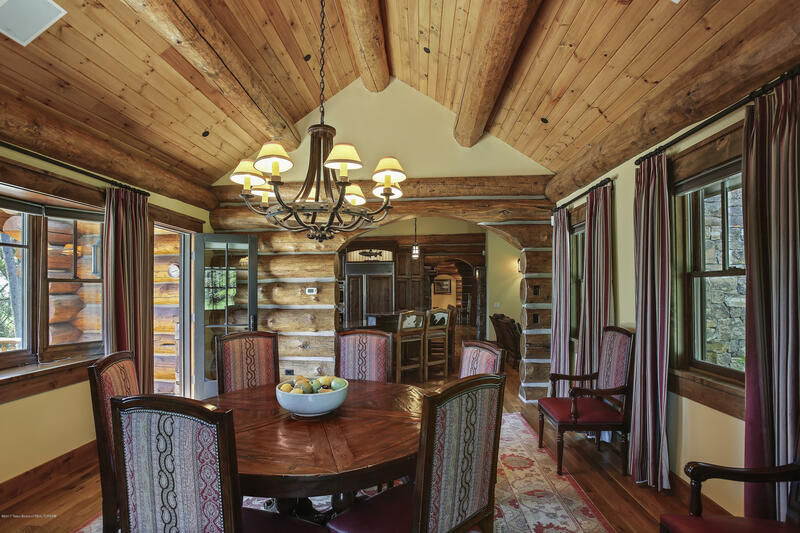 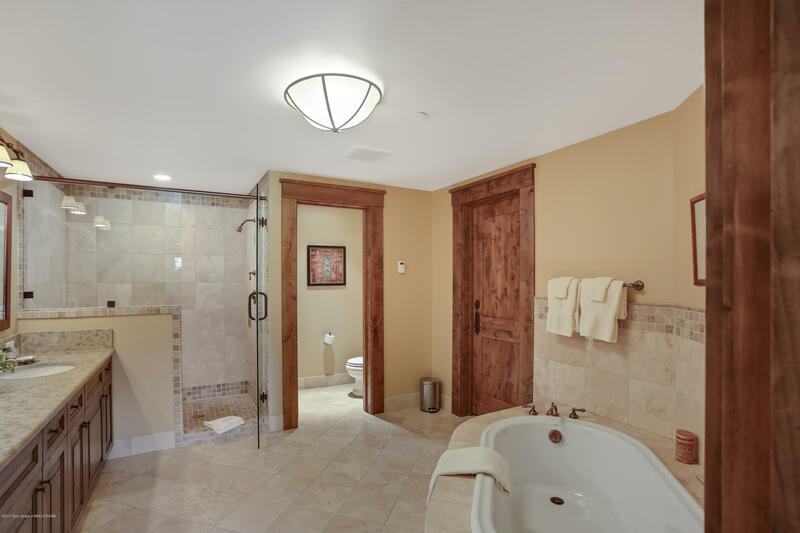 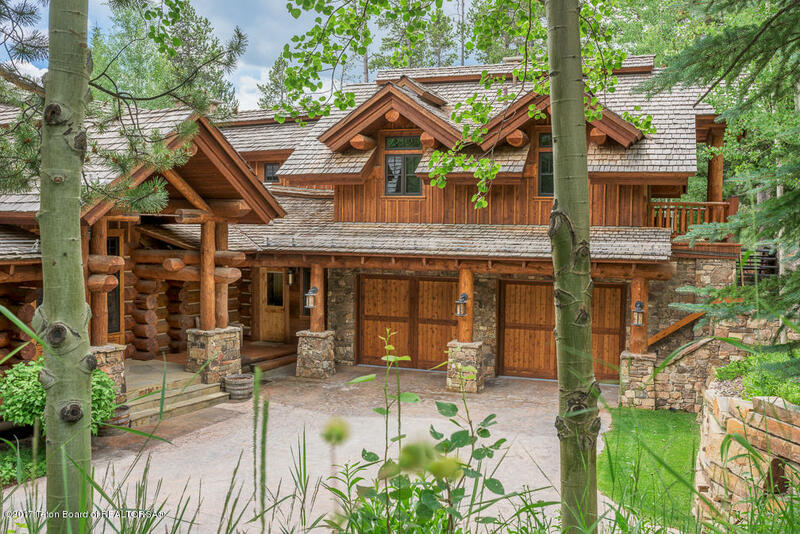 True craftsmanship is evident throughout the entire home with detailing like Douglas Fir log rounds, dry-stack stone work, beautifully crafted wrought-iron, natural stone slab countertops, rough-hewn hardwood floors and other carefully chosen appointments. 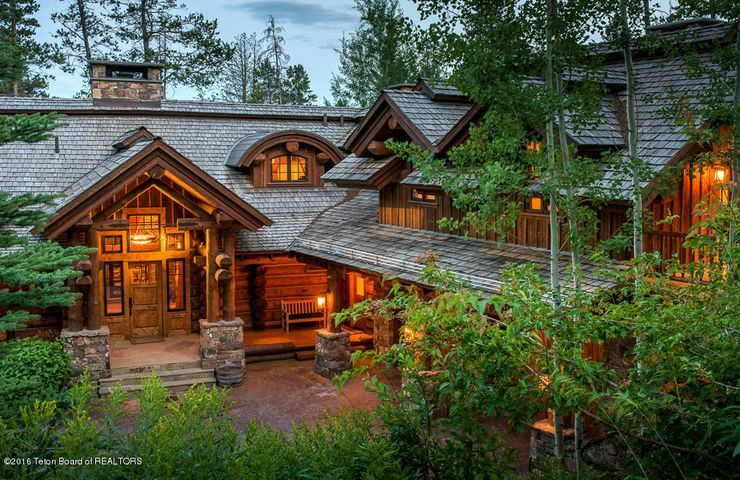 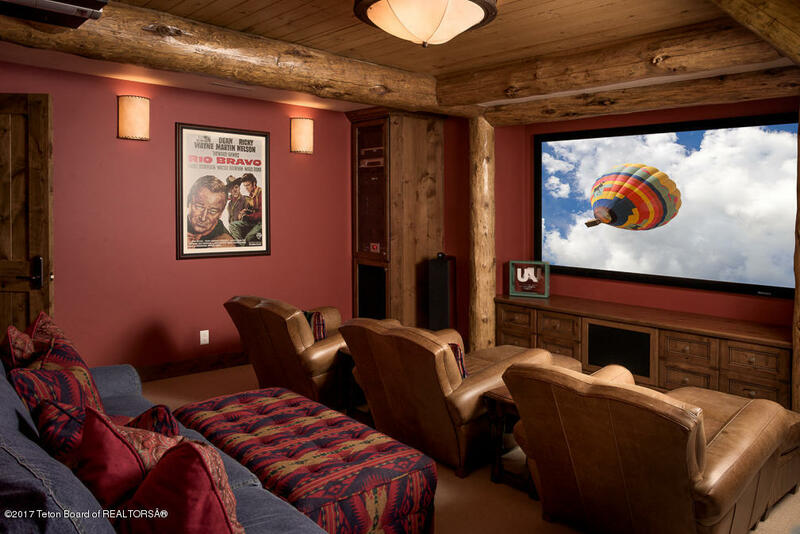 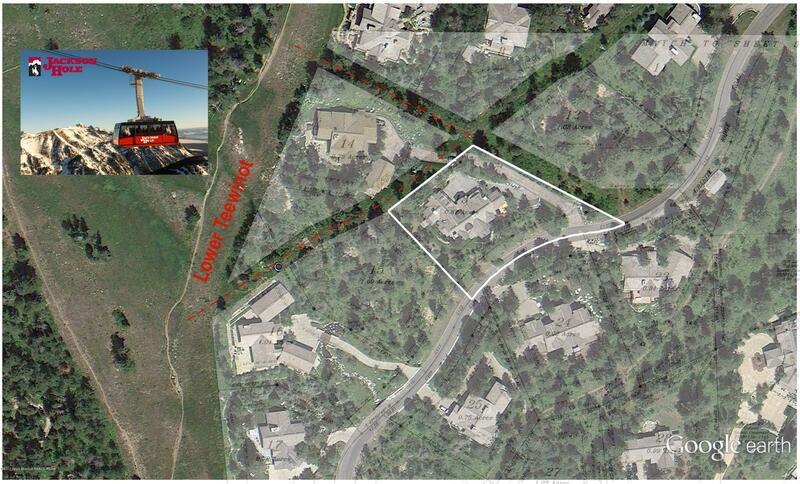 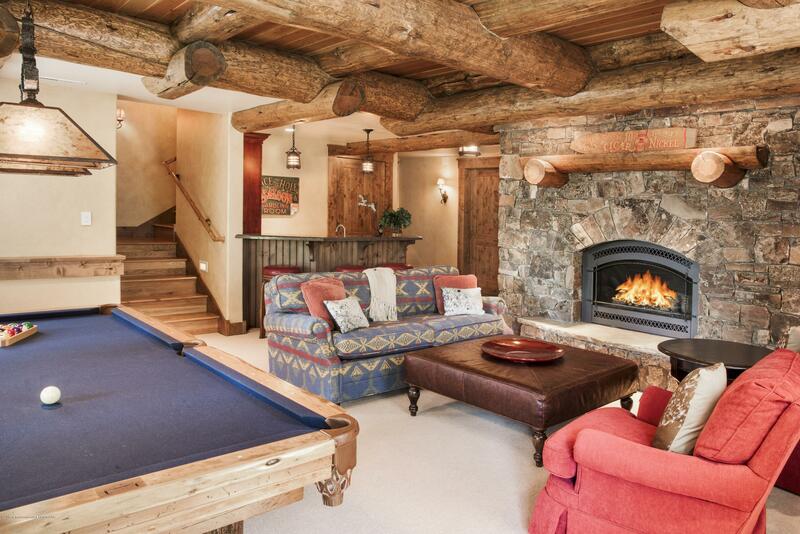 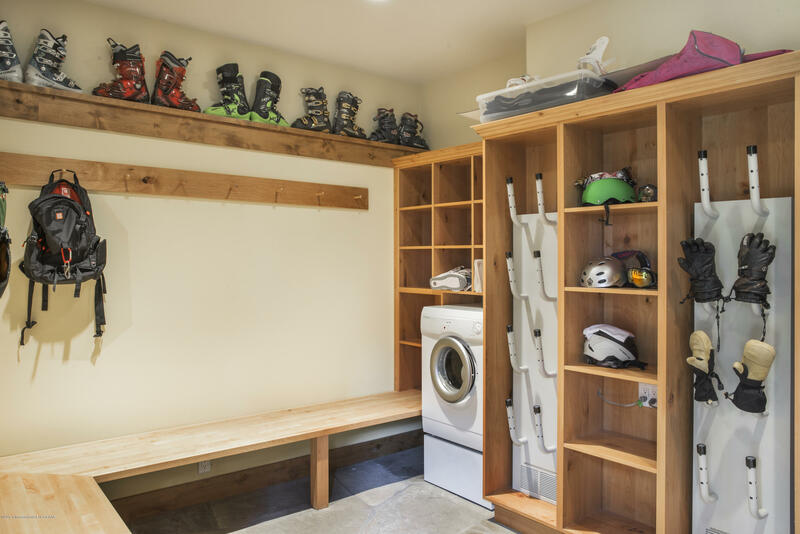 With three unique levels that have intimate gathering spaces like a game room, a theater, a bunk room and skiers lounge and more, the home ultimately unites to create an all-seasons haven.